Black Friday, so named because it represents the day that the retail industry has typically moved their yearly ledgers from the red into the profitable black, has replaced Thanksgiving as the start of the holiday season for some. Instead of a day in which friends and families spend time together and share feasts, just as people of all cultures have done since time immemorial, the holiday season now begins with buying stuff. Of course, the exchange of goods and services also has a long history, but when it veers over into consumerism — buying for the sake of buying — we have a problem. Here are some suggestions for mitigating that trend. The working and middle classes have been getting squeezed out for years. Jobs that used to be full-time are chopped into part-time to save on benefits like health insurance. Collective bargaining rights have been squashed by corporation-friendly legislators and hard-line retail exploiters such as Walmart, which famously shuts down stores when employees exercise their right to unionize. And many stores have tried to staff busier and busier shopping days with ever-shrinking floor staff to save even more on payroll. There are companies trying to reverse that trend, and some long-standing retail companies have always prioritized employee welfare to. You’ve had the opportunity to vote for candidates — and perhaps ballot initiatives — that support increased minimum wages to living wage standards, improved benefits and labor rights, and you’ll have those opportunities again. But if you’re planning to do some major shopping this week, you have the opportunity to vote with your wallet. So I suggest making a commitment to shop at stores that you know to take care of their workers, be they big corporations or small boutique places. You can do this beyond just Black Friday, as well. Of course, if you go farther back in the supply chain, many of the items we buy were made in a developing country and then shipped overseas for sale. If you want to support the rights of foreign workers rather than contribute to a sweatshop supply chain, look for the Fair Trade Certified label. When it comes to gifts for birthdays or holidays, I like going homemade, hand-crafted or consumable as often as possible. Many consumables, like chocolate and coffee, have easy-to-find Fair Trade options. Following up on the idea of consumables, it’s nice to buy someone something that isn’t used once and thrown away or forgotten about, like a cheap plastic toy. Our landfills are filling with this stuff, and when it comes to plastic specifically, it’s also getting into every part of our ecosystems. If you don’t want to contribute to the biggest shopping day of the year also being the biggest garbage-producing and energy-squandering day of the year, think about buying items that are intended to be used up — like gourmet grocery products from a local shop. 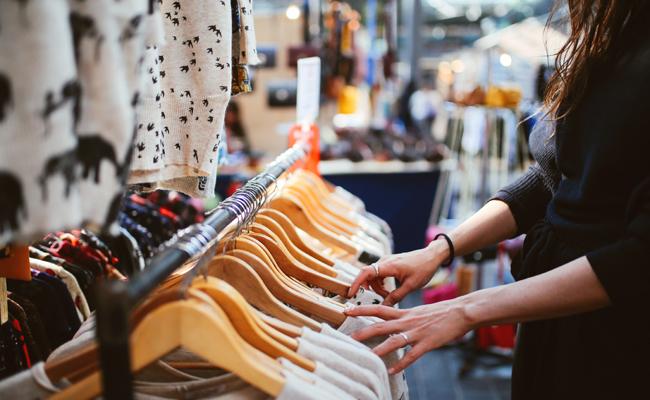 But you can also purchase locally-made crafts and art made from renewable or even reclaimed materials — or you could cruise your local antique and thrift shops for something unique and vintage. If you do buy something from a larger company, consider checking for a Rainforest Alliance certification, opting for items with less packaging and choosing products made with recycled and recyclable materials. This is probably the toughest one, but it depends on who you know. If Black Friday is important to you because you celebrate Christmas or Chanukah or another major gift-giving holiday that occurs in December or January, you could think about getting together with your friends and family and agreeing to cut back or bypass the shopping altogether. In the spirit of Buy Nothing Day, you could instead agree to gift each other homemade presents or donations to important causes. You could make food baskets, grow plants or fix someone’s fence — or you could donate to their favorite charity in their name. Seriously, if you have a friend who needs something fixed, your labor is a much more valuable gift than a bottle of organic wine — even a really nice one. The greatest con on earth.